If you don’t want to be saying “Oops” this holiday season then 1. Don’t wait to get tickets to the shows you or your family want to see and 2. Do put those holiday events you want to go to on the calendar. The good news is that there are numerous great holiday shows and happenings in the Chicago area. The problem news is that the many places to go, things to do and see make it hard to narrow down the choices to what is doable. Tip: Be realistic when weighing what is manageable with kids, tired feet and meal breaks. 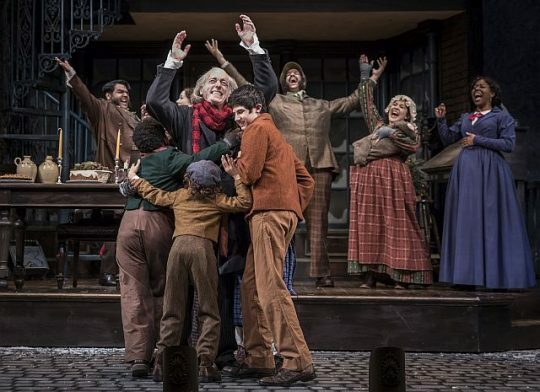 Why: Goodman’s production of Charles Dickens’ “The Christmas Carol” is a Chicago tradition that never gets old with new staging often added. But the show is also a talking point for families on what is important. Where: Auditorium Theatre of Roosevelt University, 50 E. Ida B. Wells Dr. (50 E. Congress Pkwy) at Michigan Ave.
Why: Going to the Joffrey’s “Nutcracker” is also a Chicago holiday tradition. 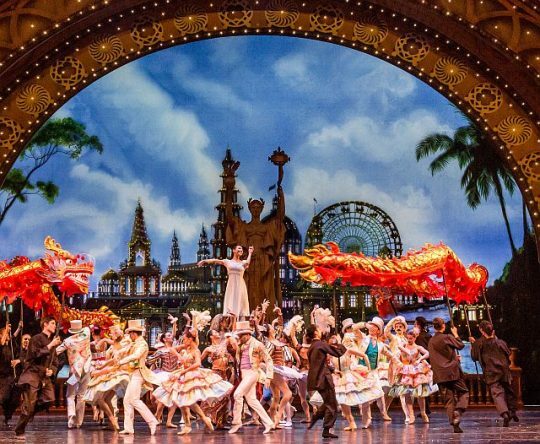 It was beautifully re-imagined last year by choreographer Christopher Wheeldon as a visit by Marie and her mother to the 1893 World’s Fair. The mysterious Great Impresario turns the visit into an adventure. And it is all set to Peter Ilyich Tchaikovsky’s gorgeous music. What: Lookingglass Theatre’s “The Steadfast Tin Soldier,” Nov. 7, 2018 through Jan. 13, 2019. Where: Lookingglass theatre is in the Chicago Water Works at 821 N Michigan Ave, Chicago. Why: Lookingglass productions are highly innovative, well acted and engrossing. This tale based on a Hans Christian Andersen story is being staged as an exciting spectable by ttalented, creative Mary Zimmerman. How: Tickets and information are at Lookingglass Theatre. Where: The Field is at 1400 S. Lake Shore Dr., Chicago, the furthest west building on the Museum Campus. 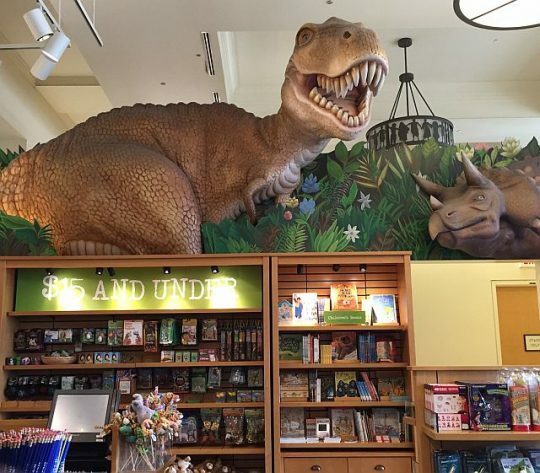 Why: The museum has a fantastic gift shop with items that would appeal to all ages. 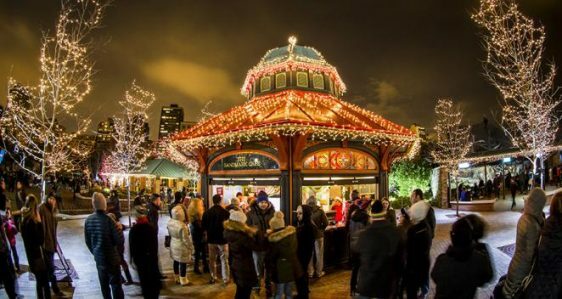 What: Christkindlmarket Chicago, daily Nov. 16-Dec. 24, 2018 and Naperville Thursday through Sunday Nov. 23-Dec. 24 2018. Where: In Chicago at Daley Plaza on Washington Street between Dearborn and Clark Streets and in Naperville at Naper Settlement, 523 S. Webster St.
Why: It’s fun to see, buy and taste the type of Bavarian gifts and treats popular at holiday markets in Germany. Where: On line and at the museum, front entrance at 111 S. Michigan Ave. and the Modern Wing entrance at 159 E. Monroe St.
Why: Gift shop entrances do not need admission fees or tickets. The shops carry one-of-a kind gifts that won’t bust the budget. The Modern Wing has good glass items and the main gift shop has excellent jewelry and ties. Both shops have Frank Lloyd Wright items and gifts inspired by other artists. Also visitors like to take holiday photos with the wreathed lions in front. How: For hours visit the museum at artic. Why: See the animals while strolling among 2,5 million lights thanks to Com Ed and Invesco. Also visit Santa, watch ice carving, sip warm spiced wine, snack on holiday treats and watch a 3D light show. How: Find hours and admission at LPZoo Zoolights. Why: the Garden’s event is called Wonderland Express but before going into the building that has trains zipping through Chicago landmarks, see trees and walkways lit by thouands of lights and visit the greenhouses’ topiaries and poinsettias. Then don’t worry about the “snow” falling on shoulders inside the exhibit building. It’s all about fun and winter wonders. Where: The grounds of the Morton Aroboretum at 4100 IL Hwy 53, Lisle. Why: These lights don’t stay still. They change color, they move to music, they’re interactive and Illumination, supported by Com Ed and Invesco, is fun.